TTi (aka Thurlby-Thandar Instruments) is a well established UK test and measurement supplier who develop and manufacture in-house a range of bench PSU’s, Functions Generators and RF/EMC test equipment. One particular design utilises an NXP LPC2468 microcontroller in a 208 ball FBGA package that interfaces to a discrete flash memory of type M29W800 in a TSOP48 package. The design engineers at TTi contacted the JTAG Live support team, when it was found that some faults on this design had become difficult to resolve with conventional (functional) test means. 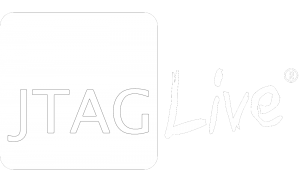 The engineering team at TTi add “The JTAG Live range offers a great introduction to JTAG testing with a minimal investment. We also know that if our needs expand we can upgrade from Clip to the Script package which could add the power of the Python programming language to our boundary-scan testing”.